Warming up for a studio session...random improv stuff! Global Artist Pitch / Artist Development: James Essien / SevenGrand Entertainment : Songwriting, Record Production & Creative development of emerging artist James Essien under the global management of 'SevenGrand Entertainment' / David Miller and Davon Washington. Abel Miller - Patience (Album) : iTunes No.20 Executive Producer, Composer, Musician, Recording & Mixing Engineer. Endorsed by legendary record producer 'Teddy Riley' of Blackstreet / Michael Jackson. Blade Brown - Bags & Boxes 3 (Album) : iTunes No.1 Vocal Producer, Recording, Mixing & Mastering Engineer. JaJa Soze Ft. Steelo - That's Who I Am (Single) : Lead single from the album 'The Last Message' / PDC Entertainment Ltd. Producer, Composer, Musician, Recording, Mixing Engineer. Amplify Dot Ft. Takura - Don't Go Cold (Single) : Virgin / EMI Records Co-Producer (with Michelin Shin) , Recording, Composition, Production, Mixing Engineer. Chris 'Zay' Williams is one of the most exciting musicians in the UK, specialising in the Saxophone, the Piano and as a Multi-Genre Music Producer and Engineer, with a powerful reputation in the performing industry having been trained by and having worked with some of the best the performing world has ever seen, having completed a BA Hons in Creative Music Performance and Technology and studied under legendary musician Gordon Lewin and Frank Griffiths. Forged in the fires of the music industry with over 18 years of experience performing at the highest level, performing in many concerts and showcases as well as playing for TV and live radio. Performing at events for a varied range of clients including Presidents and Ambassadors, Celebrities, Super-Model's and Footballers, including Celebrity Weddings, Private Parties and Fashion shows for Global Level Companies, as well as charting Record Releases stretching across the globe with international performances and tours with headline artists in some of the most prestigious venues the performing world has to offer. I am confident reading as well as playing by ear and have exceptional improvisational skills across many different styles of music. 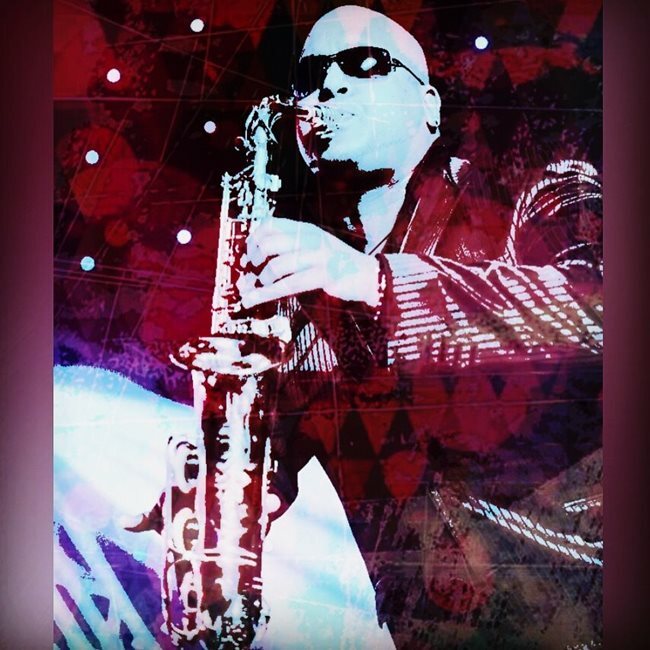 My training includes Classical, Jazz, Soul, Funk and Latin which I am able use as a foundation and apply to all types of music and performances. I also play the piano with particular focus on improvisation and playing by ear. I have performed in almost all of the major club venues in London, including Celebrity events at venues such as Ten Rooms, China White, Cafe' De Paris, Guanabara, Bar Salsa (Residency), Missoula (Residency), and many others, performing as the main attraction with top DJ's in the circuit, both for public and private nights. 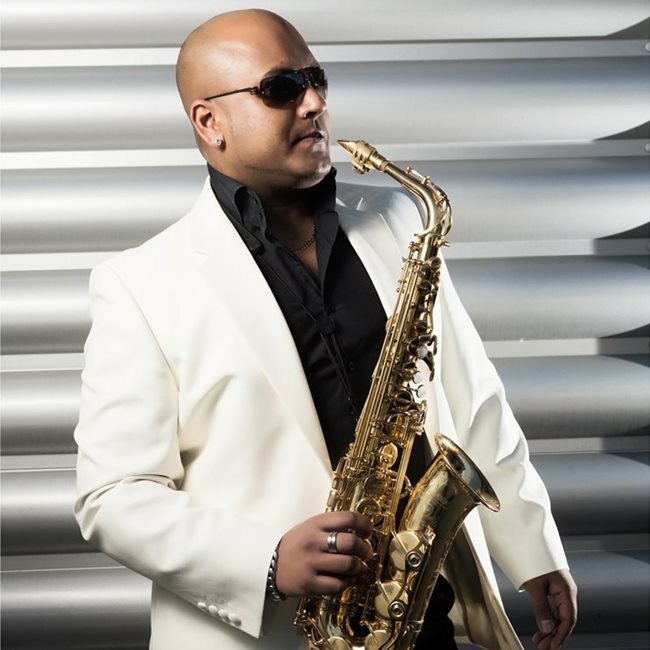 I've had the opportunity to perform in prestigious concert venues to large audiences including The Royal Albert Hall, The Royal Festival Hall, The Brixton O2 Academy, The South Bank and others, performing both solo and as part of an act / band supporting International and UK artists; Joe Thomas, Nobby Solano Latin Band Robin Del Castillo Band, The, Steelo 1, Swami, Kudos Music. I've performed in events in some of the UK's top Hotels for private functions, weddings, including Celebrity parties and high-end Fashion events including, The Grosvenor Marriot, The Dorchester, Claridges London, The Four Seasons Park Lane, The Intercontinental Park Lane, The Landmark, The Lancaster and lots of others. I've been hired to perform in events in Canada, Cuba, Miami, Ibiza, Italy, Spain, Malta, Kenya, Marrakech and more. Notable performances include a BBC live Maida Vale session, (Swami - 'Hey Hey') as well as other high-profile events, (The Rishi Rich Wedding, The West Ham United Party, Katie Price, Teenage Cancer Trust, Asiana Fashion Show (also an editorial feature in their 2016 Summer issue), also private concerts for the Colombian and the Venezuelan President, the Peruvian and the Argentinian Ambassador. Big public live events including the Notting Hill Carnival and The Peruvian Independence Carnival. Music video performances include; Swami - 'Hey Hey', Robin Del Castillo - 'Aquella Mujer', Sparky - 'Charismatic', Karma - 'Karma for your Soul', Little Dee - Mr Douglas EP, SBTV and The Kudos Music Trailer and other live events including festivals and live online performances, all of which have either been broadcast on TV, radio and/or the Internet. I have recorded in many different studios for various projects across the world, both for singles and album releases, for both independent & major label companies and TV/Film. In addition to my performing, I am also one of the directors of London based production company 'Zay D Entertainment Ltd', in which I am part of a music production and song writing team alongside Deon 'D' Girdhar and James Essien, under the management of Seven Grand Entertainment under David Miller and Davon Washington. Projects have included: Blade Brown (Album / iTunes No.1/Double OMA Winner), Little Dee (iTunes No.6 /SBTV A64), Abel Miller (Album / iTunes No.20), Blue (Single / Universal Music Group), Leona Lewis (Stage Tour - Bleeding Love remixes/arrangement), McLean (Asylum/Atlantic Records), Amplify Dot (EMI/Virgin), Ryan John (Album / SE7EN), Dumb Beats (Valley Music), Jaja Soze (PDC/The Last Message) & many more. I also perform frequently with Kudos Music, a leading London based events management and performance team, performing at many of their functions, including weddings and corporate both in the UK and abroad. I'm also as a music teacher with 14 years of experience at a specialist Music Academy and High School in London, working with people at primary age, through GCSE and A-Level and mature students in performance and composition. 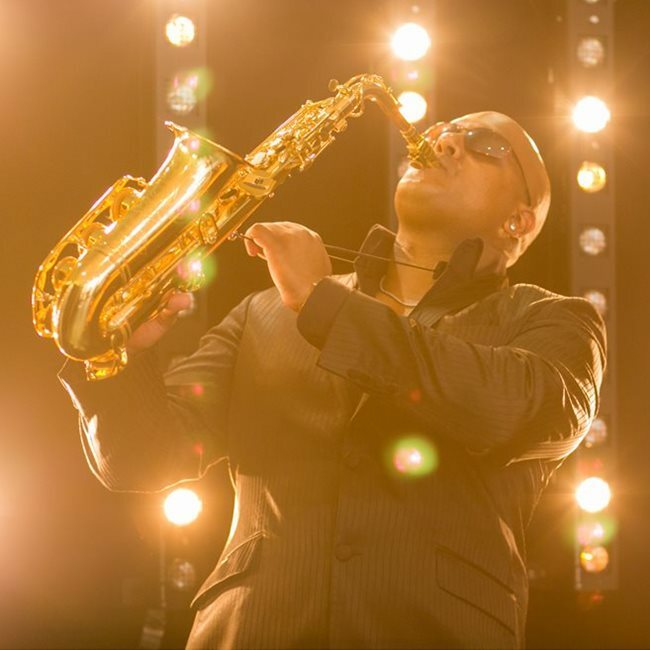 My specialist areas of teaching are Saxophone, Keyboard/Piano studies, Band/Ensemble, Music Production and Song Writing. I have an excellent reputation in this industry as a hardworking, reliable and powerful performer and I put my absolute all into every performance, be it live on a stage, on the radio or TV, or in a studio, striving to ensure that every show is better than the last. I believe that a performance should capture the audience in both an audible and visual way, connecting each member of the audience to the performer and involving them in the performance as intimately and as powerfully as possible. I work very hard to make sure I achieve this each time I perform, whether it is for an audience of a few or for thousands, luckily, I can say I have had I have the experience of both. I look forward to new and exciting opportunities and am interested in pursuing all kinds of opportunities and possibilities, both in the UK and Internationally. I thoroughly enjoy my work and with the support of a strong network behind me, I hope to take my journey through the performing world as far and as high as possible.